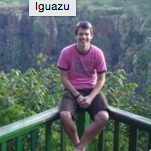 The following article was written by Tom Mcloughlin (aka Backpacker Boy). Read more about Tom in the Author’s Bio at the bottom of this post. One of the best things about travelling is discovering new things, and journeying from one destination to the next. How you get there is often the most interesting part of your journey. Whether you are doing the driving or someone else is, try out an unusual form of transportation the next time you travel. Travelling by Tuk Tuk in Sri Lanka can be an inexpensive way to get around. 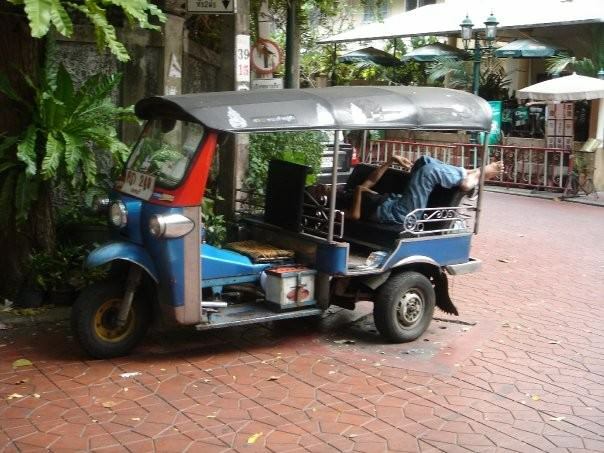 A tuk tuk is a three-wheeled vehicle that can travel up to 60 km/hr. They fit up to three people comfortably although you may see families of 10 get out of one while you are travelling. Riding in one of these is an experience in itself and is a must when on holiday in Sri Lanka. Make sure the driver charges by the meter or you may find yourself paying more than required. If you don’t want to risk over paying, or if your bargaining skills aren’t that great, CorinthianTravel.co.uk offers some tours that include Tuk Tuk rides. If you like the idea of travelling noiselessly down a canal than the gondolas in Italy are a great option for you. A gondola is a flat-bottomed row-boat with room for up to six passengers. The gondolier propels the boat with a long paddle that he uses to propel and steer the boat. Sit back and relax and travel through the canals of Venice taking in the beautiful sights as your gondolier effortlessly propels you to your destination. It’s worth noting that a ride on one of these boats in Venice will run you between €50 – €80 for a half hour, so have your wallet (and your bargaining skills) ready. The funiculars in Turkey are an efficient way of travelling in Istanbul. These underground trains connect the two major stations of Taksim and Kabataş and the ride takes two and a half minutes. Each day up to 30,000 people use this transportation to reach their destination of choice. Travelling by campervan in Australia is a fabulous way to see the country. You can sleep up to eight people comfortably and you can cook your own food as you journey to the destinations of your choice. You will find hookup sites along the way where you can get electricity water and sometimes Internet access as well. If you’re planning a campervan trip in Australia, check out SpaceShipRentals.com for some cool rides. If you’re looking to buy your campervan, there are a few places in Sydney and Perth that are famous selling points. 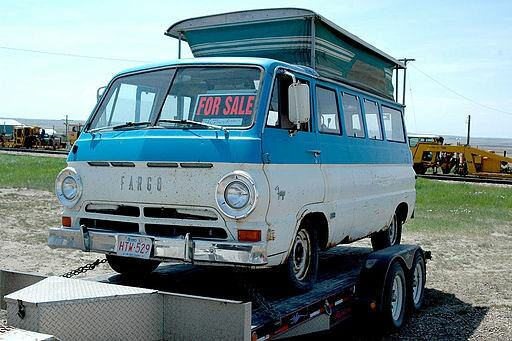 TravelHack.com has a great guide on buying and selling these sweet rides so check them out. The floating markets in Bangkok, Thailand are a great sight to see and travelling by a motorized Longtail boat is a fun way to get there. This low-slung boat whips through the canals and you are almost level with the water. It is a fantastic journey that travels past houses and incredible flora and fauna before arriving at the floating market of your choice. Another interesting form of transportation to try is a dog sled in Finland. You don’t need to have any experience, just a reasonable level of fitness. You will have your own team of dogs and your own sled and you will be trained how to run the sled and look after your dogs. The dogs can travel up to 20km/hr and you will glide effortlessly across the snow as you journey above the Arctic Circle. For a truly unique transportation experience consider taking a Polar Cruise on an icebreaker. These boats navigate through icy waters that no other ships can handle. If you have troubles with motion sickness make sure you take some medication with you as the motion can be even more severe that a normal boat in rough waters. Travel is not always about the destination, but the adventure that you have to get there. Planes, trains, taxis and cars are great, but they’re not as exciting as some of the world’s more peculiar modes of transport. What is the strangest way you’ve ever gotten from point A to point B? Tell us about the weirdest wheels you’ve taken in the comments below. 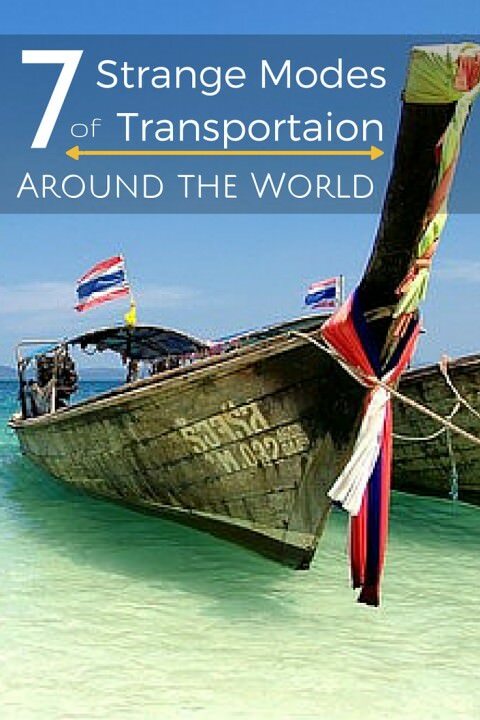 I’d love to take a long tail boat to a deserted Thai beach right about now … great post! The photo at the beginning of the article is of the Kapitan Khlebnikov ice breaker and possibly the MV Green Wave cargo vessel. The photo is from a year when both were in the middle of supporting the United States Antarctic Program in McMurdo Sound, Antarctica. Neither take on passengers for “Polar Cruises”.